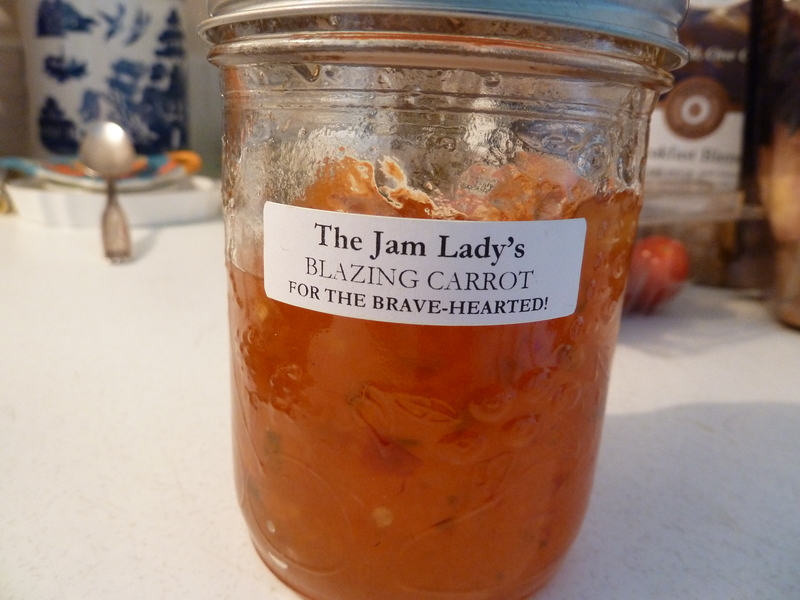 The chicken didn’t photograph really well, but here’s a pic of the Jam Lady’s Blazing Carrot Jelly. The Jam Lady (who was a man) at this morning’s farmer’s market at 104th Street (in Edmonton) recommended I smear this on a chicken, and roast it. It’s also tasty on a cracker with a mild creamy cheese. Quick post, but it has been a Very Busy Weekend. I’m off to a friends tonight for Games Night! Woot! Next Post It Costs What?